Landscape design can be very fun and rewarding, especially if you’ve got a decent sized outdoor space to work with. There are a lot of different things that you have to consider when planning a new garden or outdoor space. These include what sort of plants you’re going to include, where you’re going to plant/install certain things, and how you’re going to keep your garden healthy. In my opinion, mulching is one of the most important parts of designing and maintaining a healthy garden. 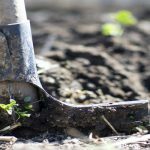 Mulching has a huge range of benefits, and it’s generally used to make sure that you’re plants are living in a healthy, sustainable environment. Mulching refers to the action of placing mulch around the base of your plants. Mulch can be anything from composted organic matter to straw or wood chips. It has a range of functions, including keeping moisture in, reducing the amount of weeds in an area and providing a slow, consistent flow of nutrients to your plants. In the modern world people are more aware than ever about climate change, environmental destruction and the impacts simple everyday actions are having on the Earth. If you think of yourself as an environmentally friendly person who is conscious of the effects that their actions are having on the planet, then you should consider adopting eco-friendly cleaning practices. If you own a commercial building that you don’t clean yourself, you can still use eco-friendly cleaning – simply choose the right commercial cleaner! If you own a large commercial or residential building, you probably don’t clean it yourself. However, this doesn’t mean that you can’t adopt environmentally friendly cleaning practices. Simply search for a cleaning contractor who is happy to clean the way you want them to. There are plenty of options out there, so make sure that you do your research and speak to a number of companies before you make your choice. If you own or manage a building, then you can keep it clean in a way that is good for the planet by providing recycling bins in communal areas. Many buildings don’t do this, instead opting for general rubbish bins, which result in a lot of recyclable material being sent to landfill. Landscape design can be complicated at the best of times. However, it is even more so when Australia’s tough conditions are involved. In many parts of the country, the climate is among the harshest in the world, which means that ‘normal’ landscaping rules don’t apply. Instead, gardens must be designed with the specific climate conditions in mind, especially if they are to be self-sustaining in any shape or form. There are a lot of pressures to contend with, including poor soils, heat, and low rainfall (in most of the country). This means that you should plan your garden around these things. Australia’s native plants are incredibly diverse, unique, and beautiful. Despite not being used extensively in gardens – particularly in urban environments – they are actually very well suited to sustainable gardening. Our native plants have evolved here to cope with the country’s tough conditions. Many natives come from extremely dry or arid areas themselves, and are therefore drought resistant and don’t require a lot of water. They won’t suffer if it gets too hot, and in fact, many natives thrive in the heat. A lot of small native shrubs are actually adapted to grow in poor quality soils, which makes them perfect for a sustainable garden – you won’t have to use a lot of synthetic fertilizers. As noted above, the the majority of Australia is very dry. This means that water shortages are common, and it simply isn’t sustainable to use a lot of water on your garden. Obviously, planting drought resistant plants is a good first step, but you can do more. Implementing some water collection system, such as gutters and a small tank to collect rainwater, can help you reduce your environmental impact, while still giving your garden the water it needs. 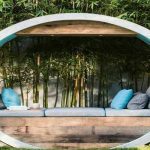 If you want a look that is going to be somewhat different to most other homes, then bamboo screen fencing is a smart choice. It’s sustainable and cheap and a great choice for your garden. It’s natural looks are so distinctive that it is even used inside the home. 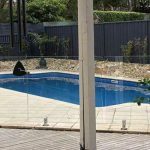 Check out websites like Lone Pine Fencing that supply and install bamboo fencing and you can talk to them about a wide range of bamboo colours. It makes a great alternative to using traditional timber. The fencing and screening comes in a number of lengths and diameters and this makes it versatile enough to suit just about any home project. That includes outdoor garden spaces in which bamboo will certainly enhance the boundaries. It can be used for any landscaping project. Words like resilient and with a long life, bamboo is known also to withstand all types of weather and pests. There are particular bugs or insects that have a party with normal timber, but they have no effect on bamboo. If you erect bamboo fencing, it’s going to be there for a long, long time. As well as it’s durability, it’s very strong and difficult to break with weights or pressure. Going green in your business is not only important to help save resources, it often means a savings in costs that you didn’t expect. Since both these things are positive, there is really no reason for not making at least some changes towards sustainability, whether you run a small SEO business like SEO Perth or a coffee shop. Saving on water usage is easy. Choose low-flow taps and shower heads. If you have an outdoor area to maintain, use drought tolerant plants and mulch to prevent soil drying out. Install irrigation with a sensor so water is not wasted. In the office kitchen use bulk supplies of condiments rather than single serves, which are way more expensive. Encourage employees to bring refillable water bottles and their own coffee mugs, instead of using bottled water and plastic mugs. Save documents digitally if possible. Business owners need to look at locating their office close to bike tracks or public transport. They should also provide safe bike racks. Nominate a day for employees to leave their car at home – with the chance to win a prize. Working from home will also save fuel. Clothing for the wedding is always going to be a high ticket item, but there are ways to reduce the expense and this in turn, will help to reduce the carbon footprint of your wedding. According to Kiss and Tell Photo Booths there are many other ways to do this too, from photo booth hire to save on the use of chemicals in printing out photos – and in a good choice of food that is organic. But how can you make the wedding clothes eco friendly? Here are several ways. Chose a pre-worn wedding dress. You can find these on special websites or even in an op-shop. It could be your mum’s or another relative’s wedding dress and/or veil that is available to you. While it may not feel right wearing someone else’s dream bridal finery, if you choose one that is from several years or decades back, it is a pretty good bet that no one will remember it. And vintage is always cool. Choose a dress that can be worn again. Whether it is in the style that can be easily adapted to look like a party dress instead of a wedding dress, or whether it is in the colour, choosing a wedding dress that can be worn several more times will certainly help to save the earth’s resources as well as your own. Allow the bridesmaids to wear a dress they already have. This is an excellent choice for the less formal wedding and can be a big save. You can bring the ensembles together by having them choose styles or colours that are similar or by adding accessories that all match or even just in the length. With billions of kilos in computer waste being generated every year it is a good idea to ensure your computer usage at least, is eco friendly. If you use your computer a lot you might be into web design or digital marketing, but even if you just use it at home and not for a business, the computer has a high rate of energy consumption. Using it in eco friendly ways is not just good for the earth’s resources, but good for your budget as well. Here are some tips on how to save power with your computer. If you have an animated screen saver, turn it off. These were to protect the old monitors. Newer LCD or LED monitors don’t need this type of protection and animated screensavers take up a lot of power, even if they are fun to watch. These days, with just a little bit of effort, everything we do can be eco friendly to some extent, whether it is at home, or at a home or work office. You may have set up business as a digital marketing agency such as Slinky Digital and work on your computer all day long. If everyone does something to reduce their carbon footprint, the result will be incredible and our precious resources will last a lot longer. If you have a computer, you will most likely also have a printer. Not all printers are efficient, but laser printers can be said to be better than inkjet printers because the ink will not smudge if it gets wet. So when you print out a sheet, you won’t have to reprint it due to any smudges, thus saving ink. And you can usually print more with one toner cartridge than one container of ink. Another way to ensure your printer is eco friendly is to purchase one that spits out those pages quickly. All printers use power while they are printing; if a printer takes 30 or even 10 seconds to print one page of type, it will take a lot longer and so use more power than one that can print a page in 1 or 2 seconds. So it’s important to look at the specifications of a printer before you purchase it. So look at the pages per minute the printer will do, but also look at what other features it has that you may need. Having a printer that can hold 250 pages is a lot more convenient than one which can only hold 10 pages. Whether you have a large business or a small one such as doing web design from home, sustainability is important. Not only does it help save the earth’s resources, it usually helps the bottom line of your business as well. Even if you can only implement one or two sustainable practices it all helps; if every business did the same the earth would soon become pristine again. There are many green practices that can be implemented by small and large businesses alike. Here are some of them. Use natural light and ventilation wherever possible. Pop on a jumper before switching on the heater or air conditioner. When printing, use greyscale or toner save mode for in-house copy. Make sure recycled paper does not contain sensitive information. According to villa booking experts Easy Bali Villas when you book one of the many villas in Bali for your holiday, you may not think about being environmentally friendly, but sustainable living should be done in every country, not just the one you live in. Many people don’t consider it necessary to practice sustainability when they go overseas, but it is still just as important and can save you money as well. So just how can you be environmentally friendly while on holidays? There are plenty of opportunities. Don’t scatter your rubbish around. Instead, look for a bin, even if it is out of your way. If there are none in sight, keep your rubbish and dispose of it in a bin at your accommodation. If you are purchasing gifts to take home, make them environmentally friendly choices. They should have been make in a sustainable way and be useful, rather than junk that will end up in the bin. Purchase goods made locally and this includes food. Local products have not had to be shipped to Bali, so they have a smaller carbon footprint. Besides, Bali has some of the best food ever. Don’t use expensive, glossy wrapping paper for your gifts as much ends up in landfill. Instead, place the gift in a nice bag that can be reused and recycled. Purchase only one gift per person. Let’s face it, our kids get many presents; they don’t need to be inundated with more just because you took them on holiday. Consider the holiday itself as their gift. Rather than buying a heap of cards to send back home, send digital ones. If you don’t want to go digital, use cards made with recycled paper. Many older people enjoy gardening and get some much needed exercise as they do it. Unfortunately it often becomes impossible for them to keep on working in the garden due to failing health or just through becoming frailer. However, the right landscape design will ensure that seniors can still potter around in and enjoy their garden without the need for constant digging, weeding or heavy lifting. Professional landscaping makes use of many different types of components to create a haven of green for anyone to enjoy. While change is never easy, allowing your garden to be changed into one that you can manage for several more years will benefit you and the environment, because many such changes are simply more environmentally friendly. Low maintenance gardens are all the rage these days as few people have time to spend in the garden anyway. And what time they do have, they’d much prefer to spend relaxing in the garden rather than working in it. One of the major changes would be to remove annuals and replace them with perennials. Annuals are showy, but they don’t last long and require a great deal of work. You have to replant every season and that means digging, fertilising and watering a great deal more than you like when a senior. It is not environmentally friendly, either; it’s much better to have plants that will last for several years. You can plant them out, add compost and mulch to feed them, keep the soil moist and the weeds away and that is it. Sit back and enjoy. Are Your Carpet Cleaning Products Toxic? Most people need to at least spot clean their carpets in between professional carpet cleaning. While you can choose professional carpet cleaners, like brilliancecleaning.com.au who only use environmentally friendly, safe cleaning products, it is still possible to accidentally use toxic products to clean the carpet yourself, if you don’t take care when purchasing products. Sometimes this happens because you are in a hurry and don’t even think about the product being toxic. Other times it is because the list of ingredients on the tin or packet is in such small print you just can’t read it without your reading glasses – which are at home next to that book you were reading. Or it could be that you don’t know which ingredients are toxic – many have long names and it is easy to forget them, even if you try to get it right. There are four main times when toxic products can affect you. When you inhale the fumes while using them. 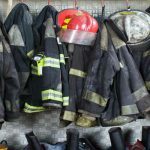 Breathing in the air after cleaning while toxic fumes are still rising. The latter two times you may not even be aware of it happening, but if you can smell it, you can breathe it in. And even a small amount of dried carpet cleaner on your skin can cause a rash, eczema or itch of some kind. People move house for many different reasons and some have many moves over their lifetime. It seems they no sooner get settled and they have to contact a furniture removals company like Brilliance Removalists Perth. Then they start with the whole deal of packing up their goods and taking them to another new home. This may be inconvenient, but at least moving can be done in an environmentally friendly way. Here are 10 tips to show you how. Use some of your linen or out of season clothes for wrapping breakables and for padding in and around the boxes. This will save on the cost and usage of bubble wrap and prevent yet more plastic going into landfill. If you move a lot, flatten and store your cardboard cartons to use next time. They don’t take much room when stored flat. Many retail stores receive their products in strong cartons, which are then sent to the recyclers. You can divert some of them for your own use. Try electrical goods stores and pharmacies to get free moving boxes. If you don’t move much, offer those cartons to someone else who will soon be moving. Some of the boxes can be used to store toys, blankets, tools and other items. Sell or give larger tea chest boxes away if you don’t want them. A free ad. on gumtree will often find them a home. Moving is often accompanied by cleaning. Don’t spend money on toxic cleaning products; make your own. Got mould or mildew? A ¼ of a teaspoon each of lavender oil and tea tree oil with 2 cups of water. Spray it onto the mould and don’t wipe it off. It will destroy the mould. Windows can be cleaned with equal parts of white vinegar and water. Is Your Carpet Making You Ill? Many homes have carpet for at least some part of the floor covering. It is soft, comfortable, quiet to walk on and saves toddler’s many bruises. However, it is not quite as easy to clean as a hard floor surface. Professional carpet cleaning should be done by experts like Brilliance Carpet Cleaning Perth every year, but it is important to ensure they use products that are non-toxic. Meanwhile, you will probably need to have some carpet cleaners in the cupboard so you can deal with spots and spills as soon as they happen. The only trouble is that many cleaning products for carpet contain toxic ingredients that stay in the carpet long after they have dried and release fumes that can cause a whole host of problems. Skin irritation, asthma, bronchitis, dizziness, headaches, nausea and many more symptoms can be caused by the toxins in your carpet. Studies have shown that a carpet can hold up to eight times its weight in dust, dirt and allergens. You may think that throwing the old carpet out and laying new carpets will solve the problem. However, many new carpets are made from products that are actually very harmful to our health. These products release fumes into the air and we breathe them in. Have you ever noticed that new carpet smell? It is very likely toxic. Are Salt Water Pools Environmentally Friendly? No matter whether your pool is saltwater or chlorine you will need help with cleaning it. Robotic pool cleaners that do the job without any help from you are the best way to decrease your workload. All an automatic pool cleaner needs is to be put into the pool and switched on. Some may need to be connected to the pool pump and filter also, but this is much quicker and easier than scrubbing the pool out by hand. When choosing the type of pool to have, you may be wondering if salt water pools are environmentally friendly. In fact, even though the ocean is full of salt water, a pool full of salt water is not really eco friendly. For a start, all that salt can really rust and erode any metal in or near the pool, even if it is galvanised. 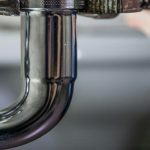 You need to change all those components to brass, especially in places where salt water comes into contact with them on a regular basis. Salt water is also bad for plants, so if you have a garden in or near the pool it is not likely to thrive. It is not only the salt in the water, but any fine mist that is swept off the top of the pool by strong wind would contain salt. Salt water may also have an adverse effect on the pool pump and the pool cleaners. Many people think that a salt pool is a safer alternative to chlorine, but in fact there is also chlorine in a salt water pool, so it is doubly bad for the environment. Chlorine is a dangerous chemical that is a carcinogen and has been linked to asthma, rashes, skin irritation, headaches and other problems in cases where people spend a lot of time swimming in it.